Norwegian Air has postponed some aircraft deliveries this year as it concentrates on cost cutting to return to profit. The Norwegian airline brought in a deeper loss of NOK3 billion kroner (USD$350.4 million) for its fourth quarter, from the same quarter’s NOK713 million loss last year. It put the loss down to engine issues, fuel hedge losses and increased competition during a period of strong growth. Norwegian said its key priority is a return to profitability through extensive cost cutting, optimizing routes, and the sale of aircraft. The airline has already agreed to sell two Airbus A320neos from its Arctic Aviation Assets unit, with the transaction expected to increase liquidity by USD$26 million after repayment of debt. The same subsidiary has also agreed with Boeing and Airbus to delay delivery of 16 aircraft by up to four years. The agreement sees the postponement of twelve Boeing 737 MAX 8s from 2020 to 2023 and 2024, and four Airbus A321LRs from 2019 to 2020. The delays are expected to reduce the company’s capital expenditure commitments for 2019. 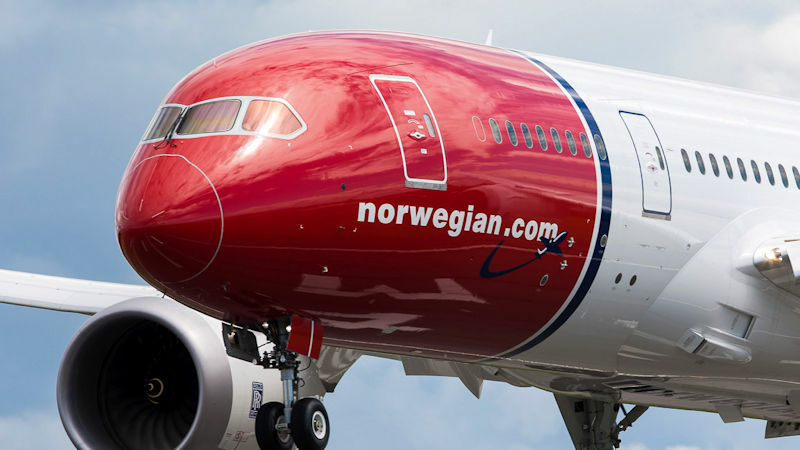 Engine problems on the carrier’s long-haul Dreamliner fleet have been overcome, with Norwegian coming to an agreement with Rolls-Royce over additional costs it incurred due to the need to wet lease aircraft during 787 repairs. The Dreamliner operation “is now running smoothly, and we don’t foresee that engine issues will affect our service,” the airline said. Total revenue for the fourth quarter was NOK9.7 billion, up 23 percent from the same period last year, primarily due to international growth and increased traffic in the Nordics. The airline flew over nine million people during the quarter, a 12 percent increase, at a load factor of 80.9 percent. Norwegian’s fuel price hedging led to a loss of NOK1.8 billion for Q4, but some of the loss has reversed due to an increase in jet fuel prices. Unit costs, excluding fuel, were down 14 percent compared to the fourth quarter 2017.